The GS7710 features a padded guitar yoke designed to work with our DT8500 Guitar Throne. A threaded sleeve screws into the back of the DT8500’back rest, and can stay there for transport or when you don’t need to hang a guitar. 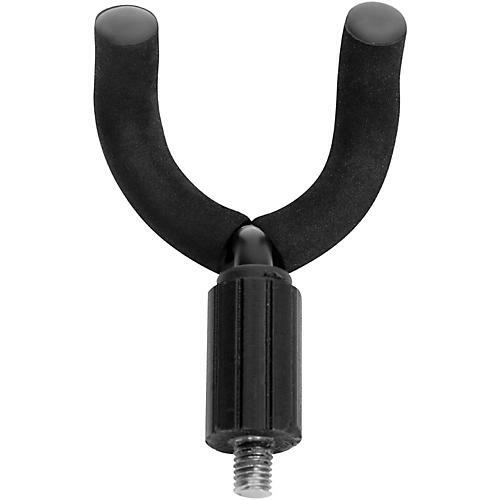 The yoke itself attaches to the sleeve via a secure keyhole design similar to our most popular guitar stands. The GS7710 will handle guitars, basses, and other instruments up to 12 lb. One year warranty on stands.